When Cordell Carmel catches his longtime girlfriend with another man, the act that he witnesses seems to dissolve all the boundaries he knows. He wants revenge, but also something more. Killing Johnny Fry is the story of Cordell's dark, funny, soulful, and outrageously explicit sexual odyssey in search of a new way of life. It marks new territory for the bestselling author of Devil in a Blue Dress and countless other books; it will surprise, provoke, inspire, and make you blush. Above all, it is about a man questioning the rules we take for granted-and the powerful and sometimes disturbing connections that occur between people when these rules are removed. 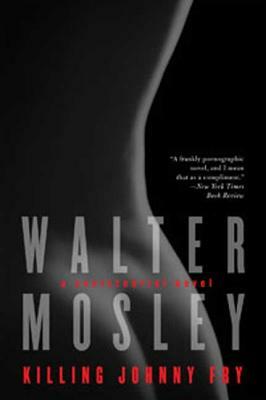 Walter Mosley is one of the most versatile and admired writers in America today. He is the author of more than 25 critically acclaimed books, including the major bestselling mystery series featuring Easy Rawlins. His work has been translated into 21 languages and includes literary fiction, science fiction, political monographs, and a young adult novel. His short fiction has been widely published, and his nonfiction has appeared in the New York Times magazine and the Nation, among other publications. He is the winner of numerous awards, including an O'Henry Award, a Grammy award, and the PEN American Center's Lifetime Achievement Award. He lives in New York City.